A Burnley convenience store has lost its licence to sell alcohol following action by Lancashire County Council’s Trading Standards Service and Lancashire Police. 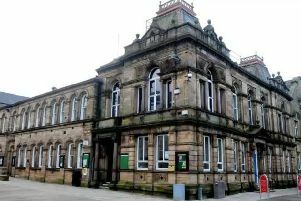 Top Shop, formerly Zee’s Convenience Store, in Thurston Street was stripped of its premises licence at a meeting of Burnley Borough Council’s licensing committee. The committee heard how smuggled and counterfeit tobacco and alcohol had been sold or seized at the store on 14 occasions since 2009, resulting in five separate convictions for the shop’s owner, Zia Aslam. Official guidance recommends councils seriously consider revoking alcohol licences where premises have been used for the sale and storage of smuggled tobacco or alcohol. As well as contravening the Prevention of Crime and Disorder licensing objective, the shop was accused of failing the Protection of Children from Harm objective after an audit, conducted in July this year, uncovered serious shortcomings in procedures designed to prevent underage sales. Responding to the accusations the committee was told that an application had recently been made to transfer the premise’s licence to Aslam’s wife, who had taken steps to beef-up procedures and improve staff monitoring. References were also produced from residents in support of their local store. County Coun. Lorraine Beavers, Lancashire County Council lead member for health, said: “Criminal activity is treated particularly seriously when it happens in licensed premises, and our Trading Standards service has been proactive in working with the police to tackle it.